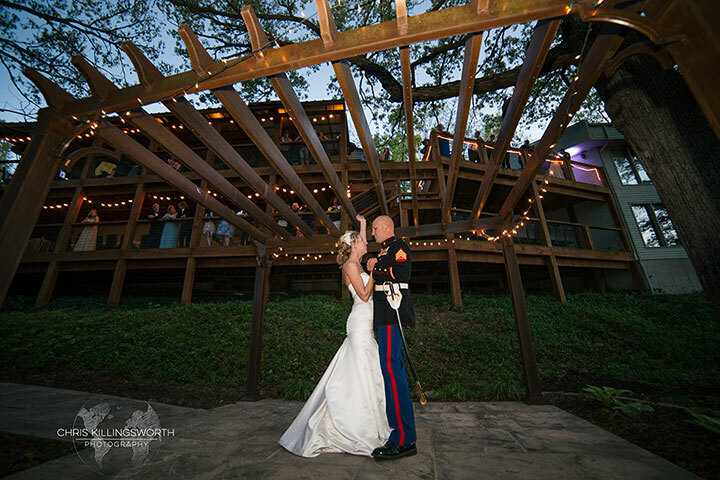 Affinity Riverside Estate is a beautiful full-service wedding and event venue in Springfield, MO. It is quietly perched on a wooded hillside overlooking the James River below. 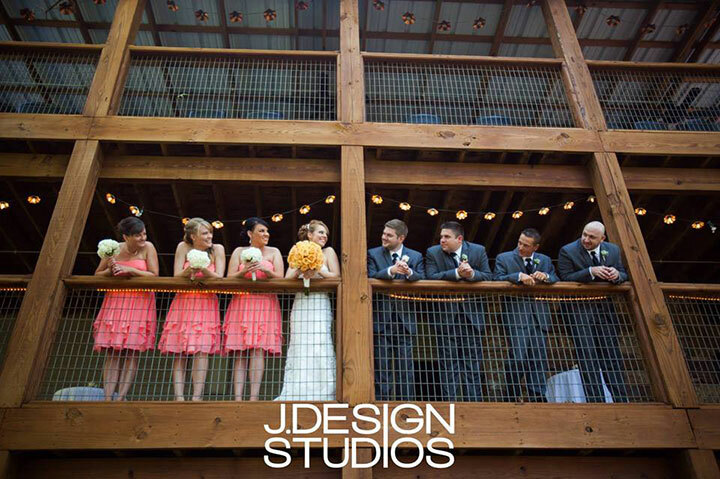 Our wedding and event venue is perfect for both indoor and outdoor spaces for events of all types. Our venue is perfect for weddings, parties, and corporate parties, meetings, and events. Whatever your wedding style, we will make sure your wedding is a memorable event for you and your guests. Our outdoor wedding area and indoor wedding or reception hall easily transform from traditional to modern to your own unique wedding style. Our mission is to provide amazing and unforgettable events from stress-free weddings to all-inclusive company holiday parties and everything in between! Please visit our In-House Services page to learn more. 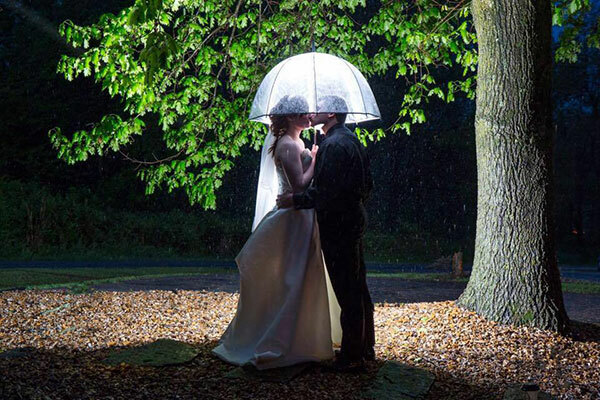 What makes Affinity the absolute best wedding venue? 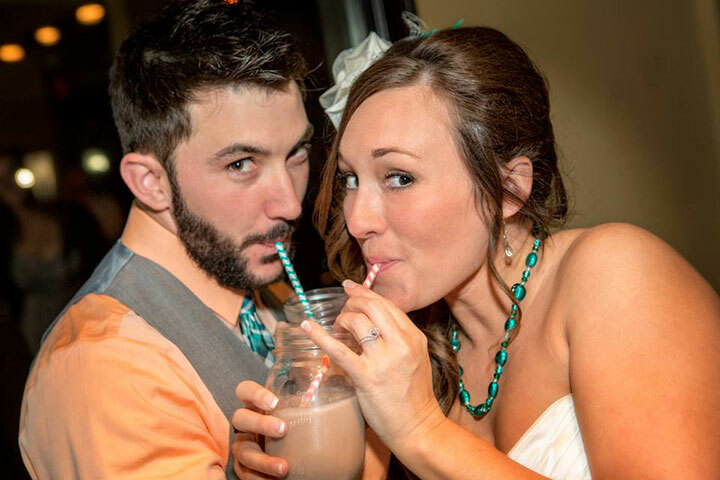 We have the most options for all the important details for your wedding and reception! What makes Affinity the absolute best Private Event venue? We have the most options for all the important details for your party or social event! What makes Affinity the absolute best Corporate or business venue? We have the most options for all the important details for your holiday parties and meeting! It doesn’t matter if you’re a bride in search for the perfect wedding venue for your outdoor or indoor wedding and reception or you are looking for the perfect location for your company’s party, holiday party, luncheon or any special event, Affinity Riverside Estate in Springfield, MO will provide the ideal atmosphere for you and your guests. Surrounded by trees, gorgeous fields, and the James River, our estate offers a picturesque surrounding for any of your events. Regardless of your wedding style, Affinity Riverside Estate is the perfect wedding venue for your wedding, reception, or both! 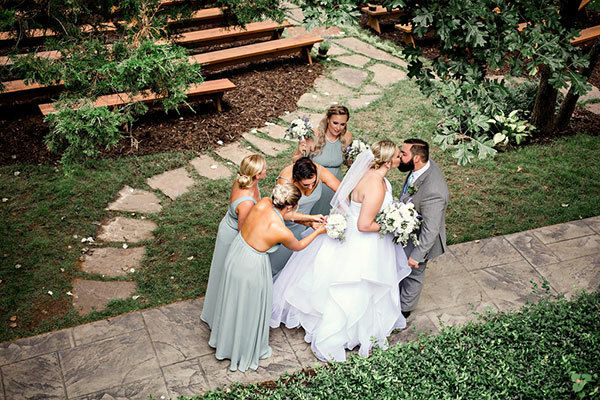 Our beautiful outdoor ceremony site is surrounded by lush trees giving it a romantic ambiance while our reception hall and outdoor deck are perfect for your reception. During cooler or winter months our fireplace provides a warm and charming elegance that sets just the right tone for your reception. When it comes to wedding vendors and services, you are welcome to bring in any wedding vendors you choose. We also have a list of excellent wedding vendors in the Springfield, Mo area that we highly recommend. Or let us help you create a wedding and reception package that will fit your budget and your wedding style and vision. The choice is yours! Affinity Riverside Estate in Springfield, MO also has a fantastic bridal dressing room and groom’s room. You won’t have to rush from place to place trying to get to the venue on time. You’ll already be here! We can help you plan your entire wedding or offer day of services. 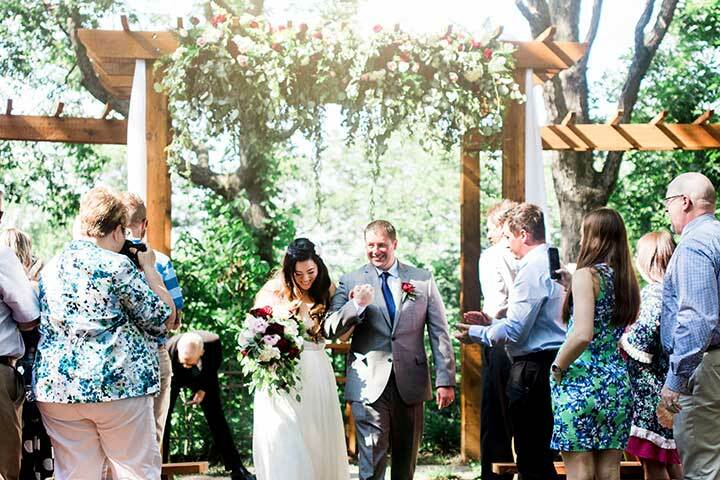 Our venue is perfect for both indoor and outdoor weddings! Are you in charge of planning your company's parties or meetings? We have several options for easy planning! Estate showings are by appointment only and we are always excited to have visitors. We also have outstanding wedding professionals for our in-house team of vendors and services. Please feel free to contact us anytime for prices and to check availability for your date. Please contact Tracy or Mark to set up a private showing of the estate grounds.